IT IS SAID THAT Paris is the most visited city in the world and during the month of August when most Parisians are away on holiday the tourists usually have the city pretty much to themselves. 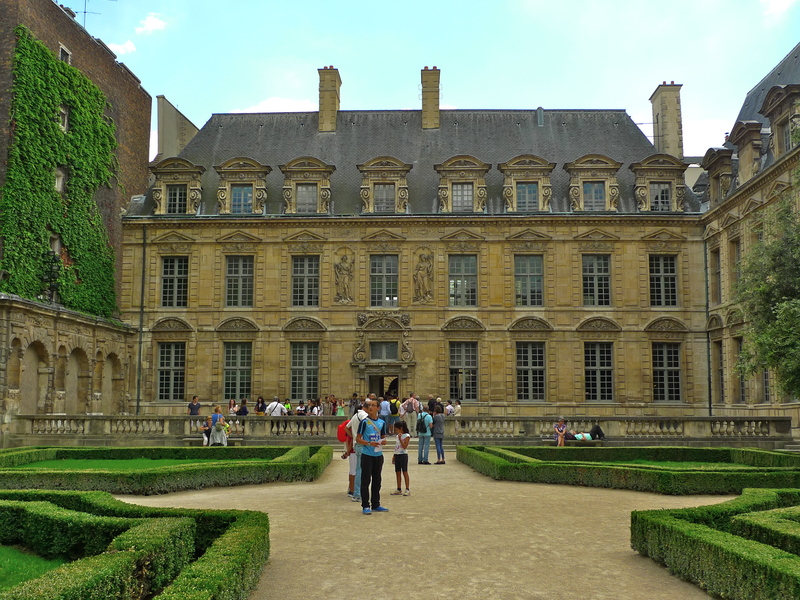 The other day I went to the Hôtel de Sully, an hôtel particulier, or private mansion, in the Marais district of Paris. 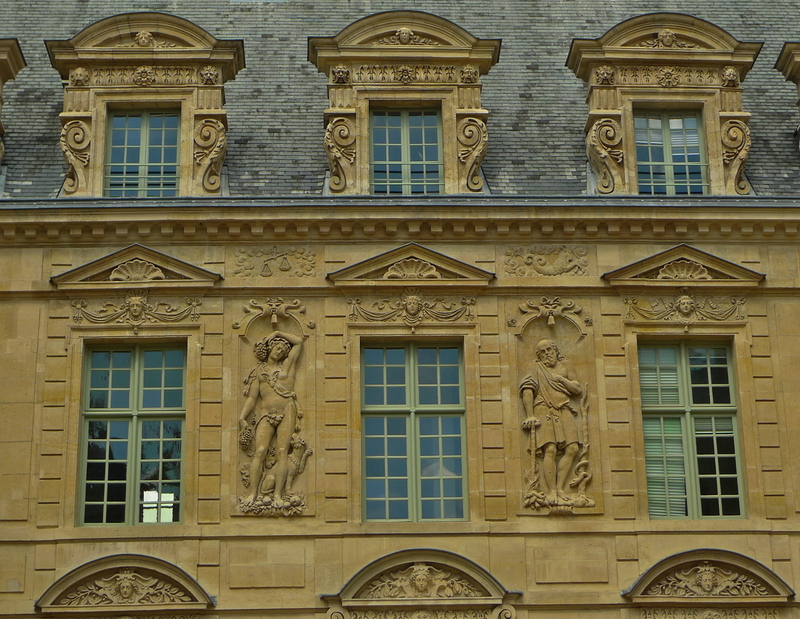 It was designed by the architect Jean Androuet du Cerceau and built between 1625 and 1630 in the Louis XIII style. Maximilien de Béthune, duc de Sully, former Superintendent of Finances to King Henri IV, purchased the property in 1634 and since then it’s had a variety of owners. It was classified as a monument historique in 1862 and then bought by the state in 1944. Today, it’s the Centre des monuments nationaux, a public body under the supervision of the Ministry of Culture and Communication responsible for the management of historic buildings and monuments in the care of the state. 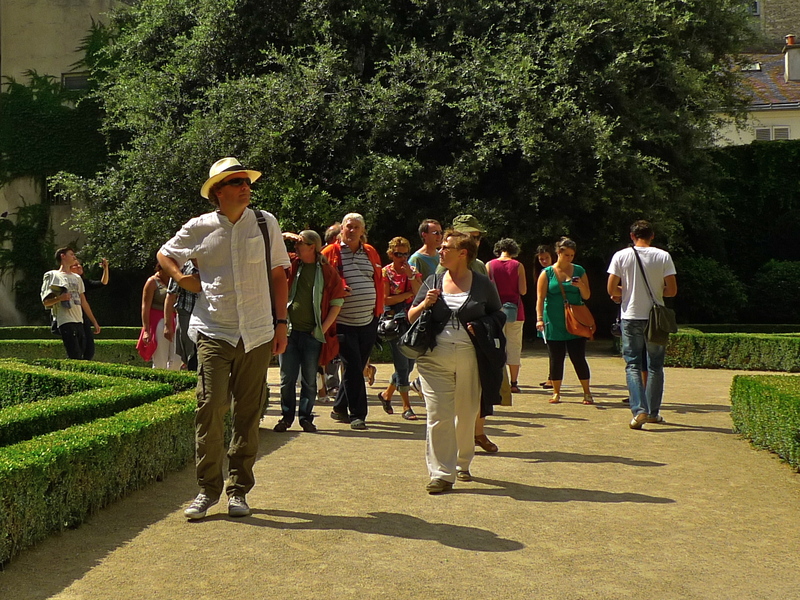 Not surprisingly, since it’s both an historic monument and it’s next to the fashionable Place des Vosges, the Hôtel de Sully is a popular stop on the Parisian tourist trail and, especially in the summer, it becomes awash with tourist groups. 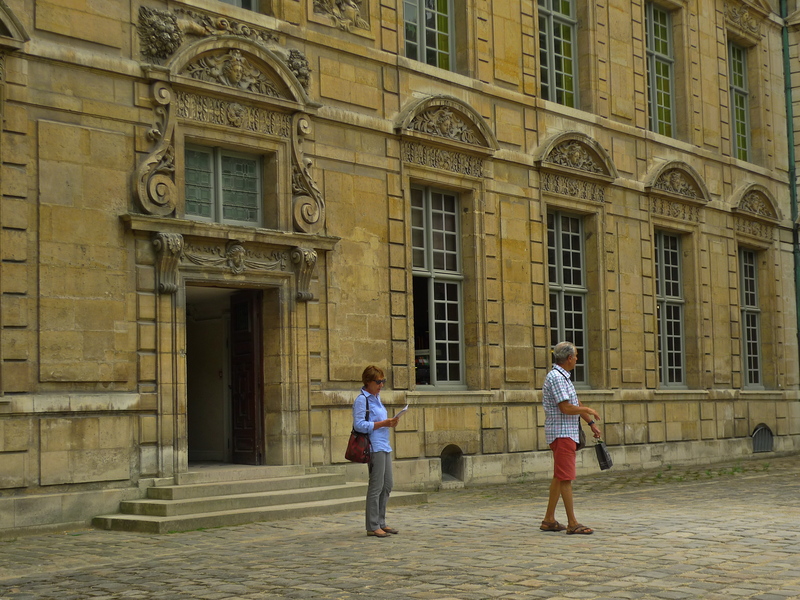 I’ve been to, or passed by, the Hôtel de Sully many times so I’m quite familiar with it and I can quite understand why it should be on the tourist itinerary. But when I went the other day it wasn’t the sights that fascinated me but rather the sounds. I spend a good deal of my time listening attentively to the sounds of Paris and it’s not always the obvious sounds that capture my attention. The sounds of brilliant Parisian street musicians, the endless street demonstrations, the Paris Métro and the colourful sounds of the annual fêtes are all part of the sonic tapestry of this city but the less obvious and equally compelling snatches of half-heard conversations, the rustle of clothing, the sound of footsteps over the pavé or over the gravel, all create never to be forgotten images and stories waiting to be told. 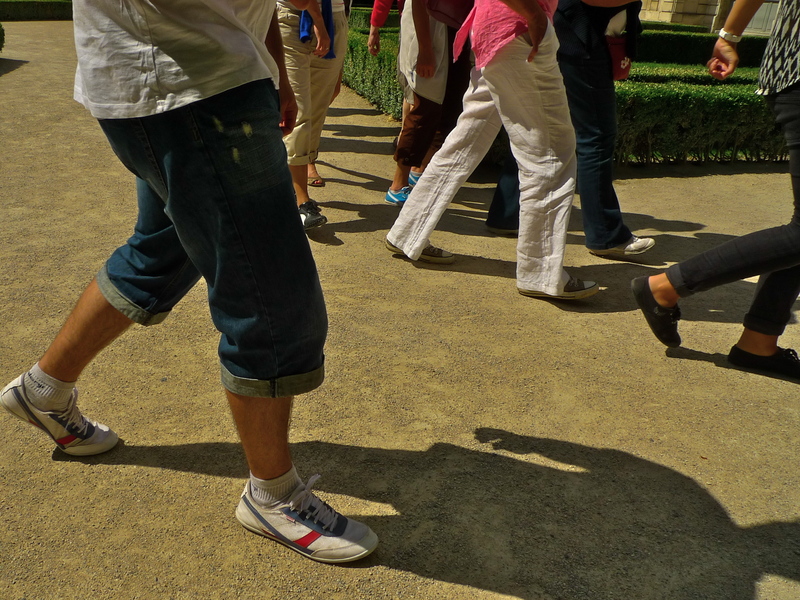 For me, the sounds of visitors to Paris pounding the tourist trail across the gravel in the garden of the Hôtel de Sully are some of the characteristic sounds of Paris, sounds that you can also hear in most of the city centre parks. I always try to make time to stop and listen to sounds like these because I find them fascinating and even compelling. But what I also find fascinating is that while most of the people responsible for these sounds, those trudging wearily from one tourist spot to another, may be aware of these sounds I doubt that many, if any, actually stop to listen to them. And yet these sounds are as just as much a part of the fabric of the Hôtel de Sully as the building itself. Unlike hearing, listening is an art and it requires hard work and constant practice. I spend most of my time listening to Paris. And when one listens one’s curiosity is aroused. If you’ve listened to the whole of my recording in the garden of the Hôtel de Sully you will have probably drawn your own picture of the scene. 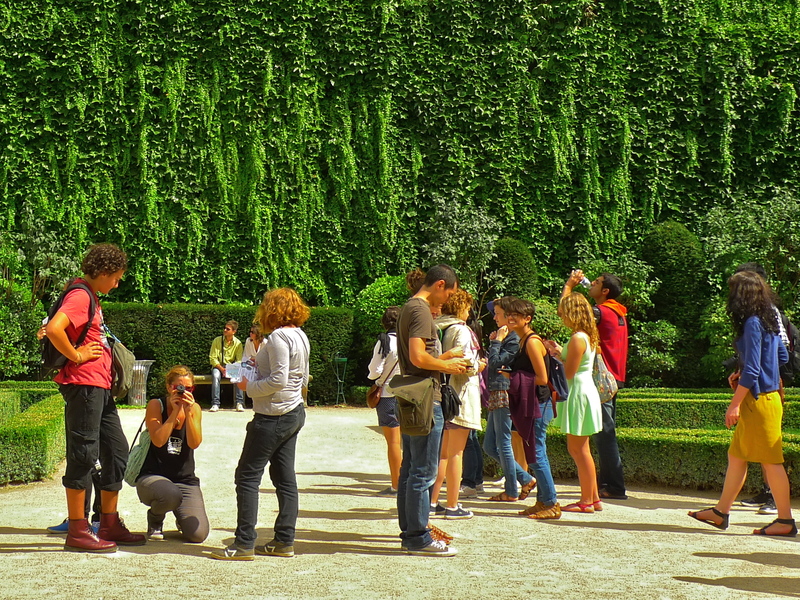 My photographs may have given you the context but you will have undoubtedly created your own pictures in your mind. If you’ve listened attentively you will have heard a rather curious and unexplained sound – a repetitive chanting in the background, a rather eerie sound. That sound came from this lady. 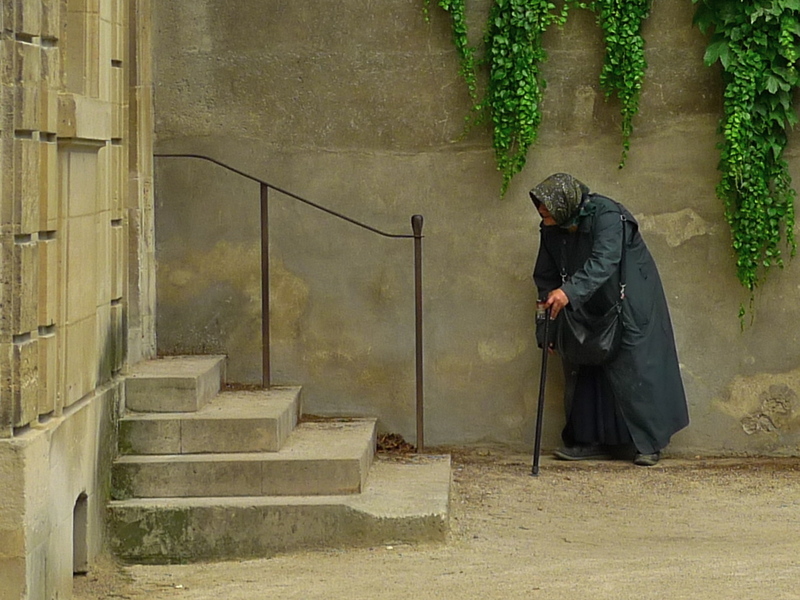 Not everyone who pounds the tourist trail through the Hôtel de Sully is a tourist.